That’s why today, we’re here to recognise the Top Mechanics in Adelaide. 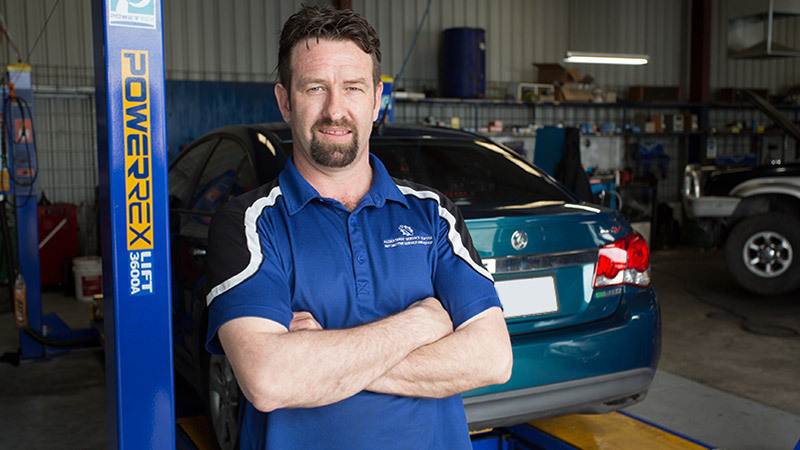 In 2018, AutoGuru partner mechanics in Adelaide quoted over $3 million worth of services and repairs for AutoGuru customers, to help them better care for their cars. We’re here to recognise the Top Mechanics In Adelaide, who went above and beyond to consistently deliver amazing service experiences to their customers. Congratulations to Aldershot Service Centre for taking the top spot as Adelaide's best mechanic in 2018! This is a family business with extensive experience in servicing & repairing modern vehicles. It is their goal to address the customers needs and to help them get what they need out of their car, whether it be air conditioning, brakes or suspension, Aldershot Service Centre specialises in them all! Ben, with over 20 years experience, leads the team of fully qualified mechanics to ensure your cars remains well serviced and reliable into the future. Aldershot has a 4.8 star rating on AutoGuru, and customers have had some great things to say! SM Auto Repair Centre offers a fixed price service with free vacuum and computer scan. They offer everything from basic and logbook servicing, minor and extensive car repairs and general maintenance. Max and the team pride themselves on the affordable, high quality work they provide. SM Auto Repair Centre have earned themselves an awesome 4.7 star rating on AutoGuru, and you can tell customers love getting their car looked after by the crew there. Auto Boss SA are a South Australian family owned business with over 50 years combined experience in the vehicle service industry. They service all makes and models & provide a one-stop shop for all your motoring needs. Joe and the team pride themselves on honest, quality work & don't compromise on cheap parts to do your job. All required work is explained prior to commencement & a comprehensive written report is provided on completion. With a 4.8 star rating on AutoGuru, you’ll be sure to have a great service experience at Auto Boss SA, just like this customer! Direct Tyre & Auto Service is your one stop shop! They service cars, vans, 4WDs, trucks, buses, motor homes, camper vans and heavy equipment. Their fully equipped workshop provides a complete range of maintenance services, log book servicing, brake repairs, transmission services, tyres and wheel alignment, air conditioning service and repairs and more! Having been in operation for 20 years, Direct Tyre & Auto Service, led by Paul, has the knowledge and skills to keep your car happy and healthy. They’ve got a 4.8 star rating on AutoGuru, so we know customers love their work! ABS Keswick can look after your vehicle's log book servicing, brakes, clutch, suspension, and general under-car repairs. The workshop is open Monday to Saturday, and is situated close to bus stops on Richmond Road, and is close to Ashford, Goodwood, Marleston, and Richmond. The workshop has been in operation for over 10 years, and includes 5 service bays, attended to by 1 qualified mechanic. All service, repairs and parts carry a national 6 month / 10,000 kilometre warranty. There is a 12 month / 20,000 kilometre warranty on brake and clutch repairs. A drop-off service can be arranged (up to 5 kilometres). B & R Automotive is a local, family owned business that understands the customer’s time is precious. Offering flexible servicing times (including Saturdays), B&R Automotive work around you! They offer roadworthy inspections, perform general servicing as well as logbook servicing and all mechanical repairs. They also offer the best prices on tyres and wheel alignments! With a complimentary drop off service and loan car, B & R Automotive is a team you can trust. They take the hassle out of getting your car serviced. James and Kylie of Stewart Mechanical Services are a friendly, local, family-based mechanic business, located just off Curtis Rd on the corner of Samuel Street and Palina Road, Smithfield 5114. They offer major, minor and logbook services, automotive A/C regas and repairs as well as mechanical repairs for large and small cars, trucks, trailers, cranes, earth moving and most other large equipment and machinery, all at competitive prices. Stewart Mechanical Services believes that by treating customers the way that they would expect to be treated proves that personal and important service aspect. With over 16 years experience, your car will be in safe hands with James and Kylie. They’ve got 4.9 stars on AutoGuru, here’s why! Goodyear Autocare is a unique one-stop shop for all automotive needs providing unrivaled value, professionalism and customer experience. Launched in 2006 the Goodyear Autocare franchise program offering customers localised service and expertise with the backing of an international brand. Marco D'Argenio is the Franchise owner for this store and has more than 30 years experience operating auto workshops in the Adelaide. With an awesome 4.9 star rating on AutoGuru, and their customers have had great things to say! With over 20 years experience in the Automotive industry, the workshop is RAA and MTA approved and has all the latest up to date diagnostic equipment and scan tools. Shane and the team offer many services including log book servicing, brakes, tyres, suspension, air bag repairs, ABS repairs, in house disc machining, cooling system repairs, 4WD accessories and much more! They’re also an accredited LPG specialist in nearly all brand of systems including genuine systems for Holden, Mitsubishi, Toyota and Mercedes. Craft Automotive & LPG are also fully trained in full Hybrid vehicle servicing and Hybrid battery replacements. They’ve got 4.9 stars on AutoGuru, check out a great review from one of their customers. Are you looking for tyres and tyre repair services in Port Adelaide? At Bridgestone Select Port Adelaide you'll find an extensive range of quality tyres, including car tyres and 4x4 tyres, complete tyre services and auto repair services, including tyre fitting and wheel alignment. They pride themselves on providing outstanding customer service and advice. They also do Auto Services! Whatever your make or model, book your next service with one of their qualified technicians. Justin and the team can help with anything from servicing to brakes, suspension, batteries and other repairs! They’ll go out of their way to make sure your car performs at its best and ensure that you leave completely satisfied. They’ve got a perfect 5 star rating on AutoGuru, and received some great feedback from customers. Looking for a mechanic in Adelaide?